Applicants have to notice the ONGC Apprentice Recruitment 2019, to apply online for the 4014 vacancies and get the required info of ONGC vacancy under the Apprentice posts to register the ONGC Apprenticeship 2019. So, Start to register for the ONGC Apprenticeship 2019 from 14th March to 28th March 2019 through www.ongcindia.com Recruitment authority page. Observe the ONGC Apprentice Application form which is given in this article & send the form within the commenced date. ONGC Apprentice Recruitment 2019 Out!! 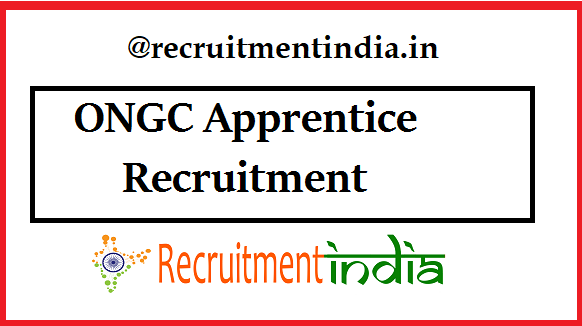 Latest Update(14th March 2019): ONGC Apprentice Recruitment 2019 Released. Check the application form and dates below. Contenders should have the eligibility for this ONGC Apprentice Recruitment 2019 to employ the details to the ONGC Recruitment Board. So, all you need to audit once before applying the ONGC Apprentice Vacancy. Candidates can you really interested in applying process, Then, start the application from 14th March 2019. After checking complete information then, proceed for the registration. Dear one the ONGC Apprenticeship Notification was already started. The ONGC wants to fill the details through the Online Mode. So, attain the great chance to be one of the members of the Oil and Natural Gas Corporation Organisation. Dear candidates, check the post wise vacancy details. So, one who can apply for this ONGC Apprenticeship 2019 Training notification they must select the State-wise or region wise. Contenders have the time till 28th March 2019. The complete qualifications for ONGC Apprentice Recruitment notification as per the job wise. For Remaining posts, the qualification is ITI in the respective discipline from the authorized board or university. In order to apply for ONGC Apprentice Recruitment. Selected candidates will get the pay scale as per the norms of the ONGC. There is payment for the ONGC Apprentice Recruitment. They need to pay as per the rules of the Government. In order to apply for this ONGC Apprenticeship Notification, The candidates get the vacancy details from this page. Through this vacancy information, candidates have to select the region for which they are suitable. From the below table, aspirants may also obtain the information about the Region Wise ONGC Apprenticeship vacancy. And also participants can attain the vacancy count according to the Region Wise. Don’t forget the www.ongcindia.com Apprentices vacancy Details which are enclosed region wise and post wise. we are uploaded the Exam Syllabus respecting to all the competitiv exams. when ongc exam will be held on??? ITI 2yers micenic moter v.
B.Com (Hons) final appearing candidates can they apply for apprentice in Accountant or not. Mera to log in ni ho Raha.Invalid user ID bol Raha hai!! What is the time of selection result about apprenticeship training of Accountant trade at ONGC, Agartala ? All applicants applied in time online,2019. Please reply to me.